It is enriched with Vitamin C and Whey Protein. It contains the natural active Milk Peptide (Whey Protein) & liquorice root extract. It helps lighten and remove fine wrinkles, brightens skin tone and tightens the skin. 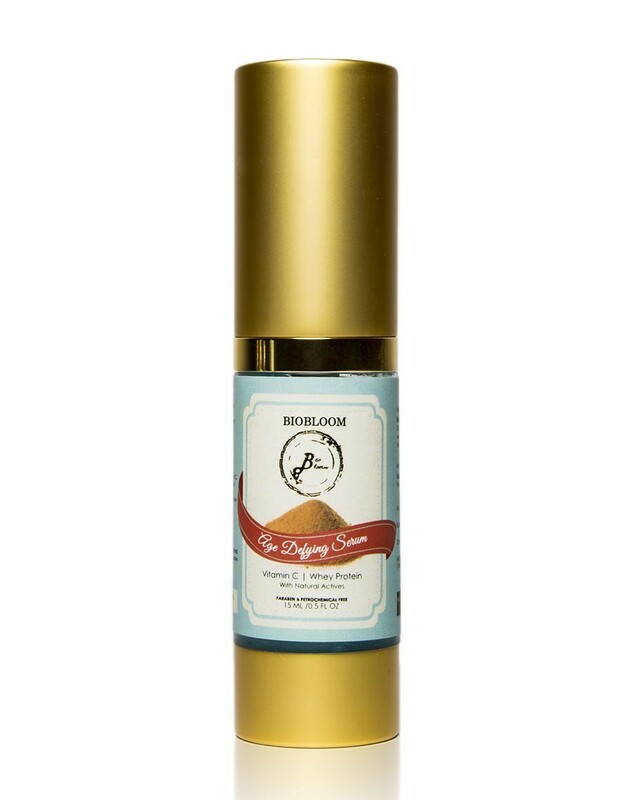 Biobloom's Age Defying Serum is enriched with Vitamin C and Whey Protein. This Anti-Ageing Serum from Biobloom contains the natural active Milk Peptide (Whey Protein) & liquorice root extract. This serum helps lighten and remove fine wrinkles, brightens skin tone and tightens the skin.